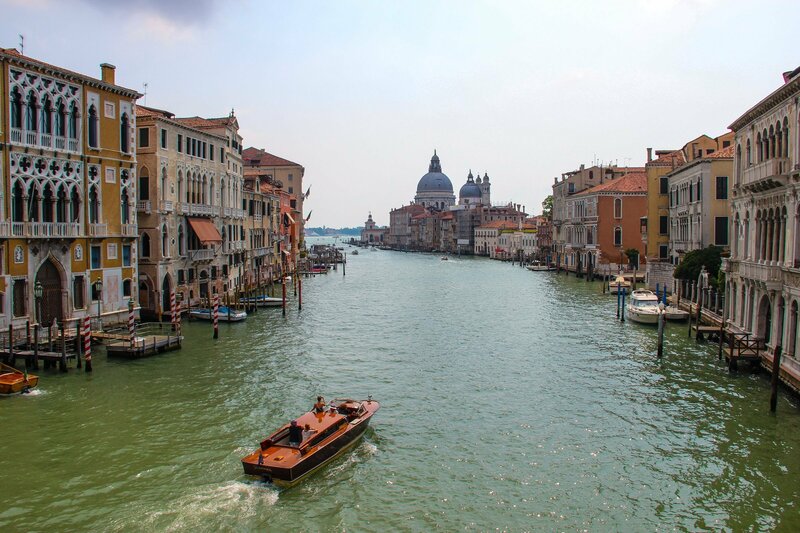 This free stock photo shows a motorboat traveling through a wide canal in Venice, Italy, where pastel colored buildings standing on each side and other boats parking alongside them, with the domes of the basilica of Santa Maria della Salute visible in the distance. This stock photo is free to use on a personal or commercial project, whether it's for a website, blog, print graphic, app or anything. There's no need to add any kind of attribution, but if you really want to show some love, that would be much appreciated. Just add a link back to this site (https://goodstock.photos) or tag me on Facebook, Instagram or Twitter using @goodstockphotos. Copyright © 2019 Good Stock Photos. All rights reserved.